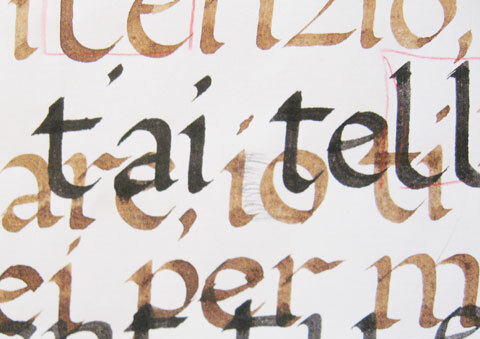 project: Book in use of "Foundational hand/roman minuscule"
Written in different sizes with 'Brause' nibs on Japanese Kagagampi paper. 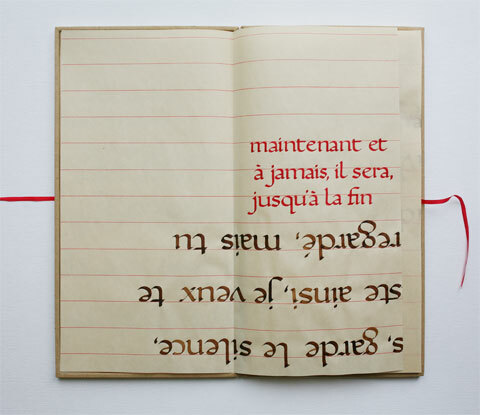 Use of walnut ink and red Windsor Newton ink. 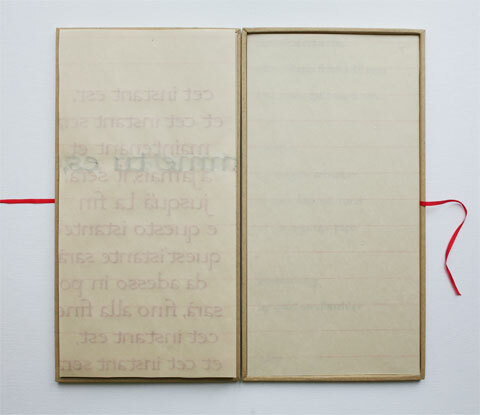 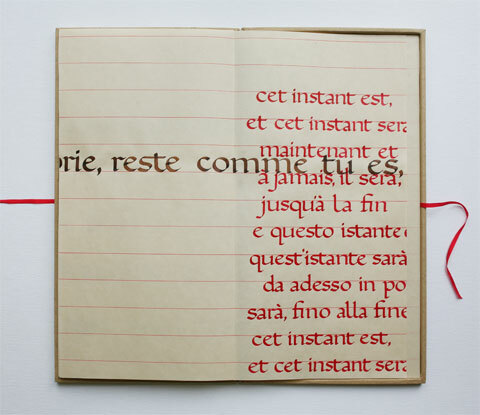 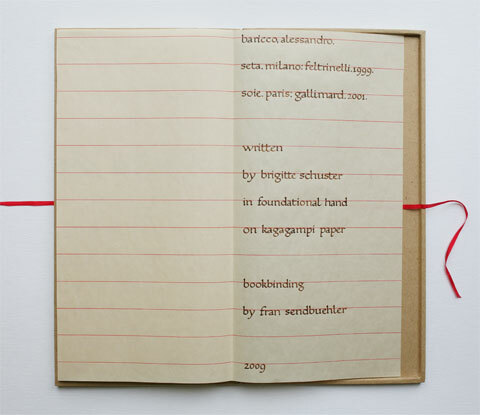 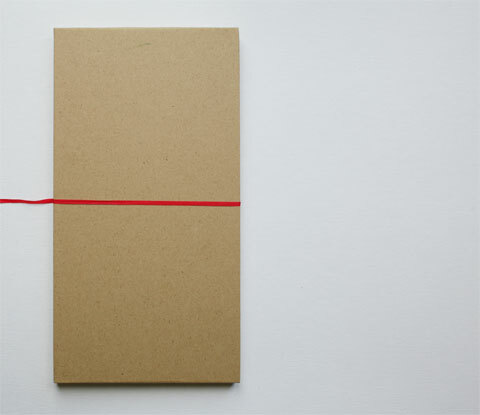 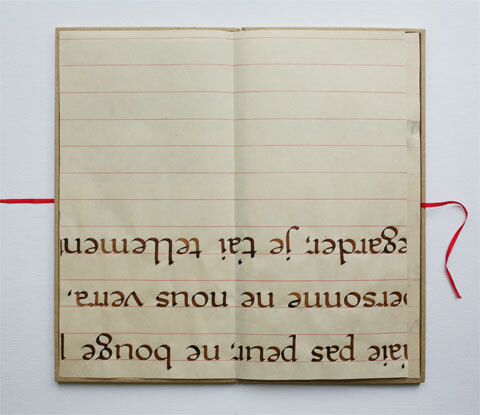 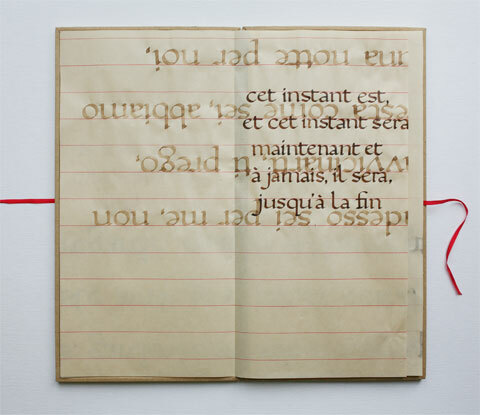 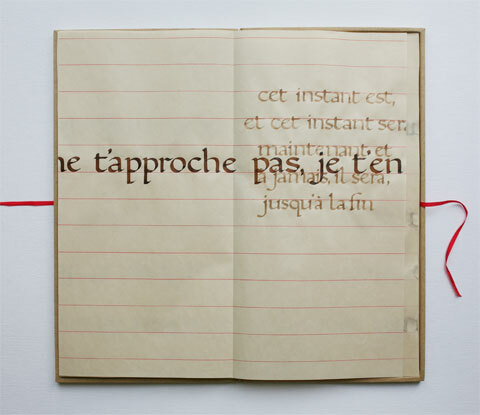 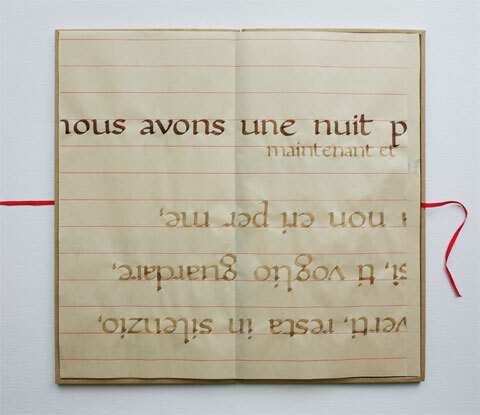 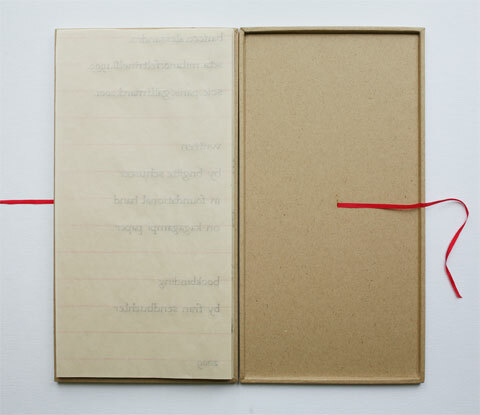 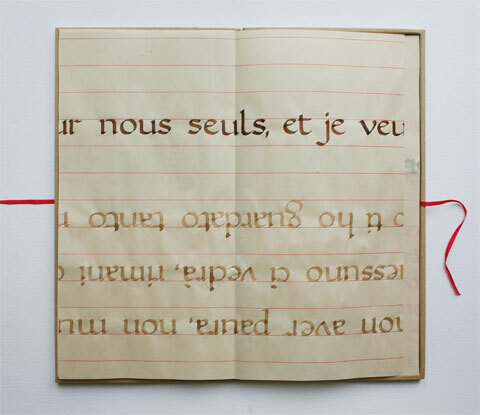 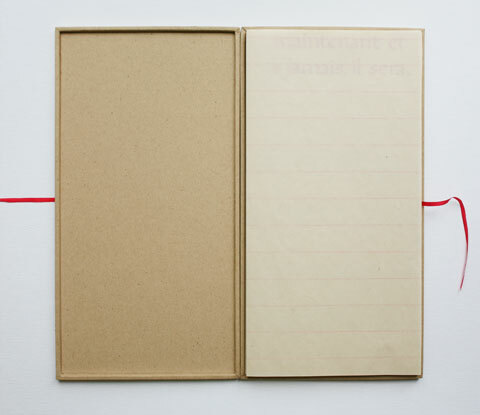 Double pages, folded and placed in a cardboard box, which is hold together by a red silk thread. 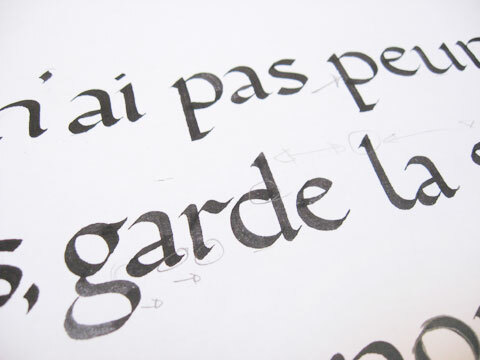 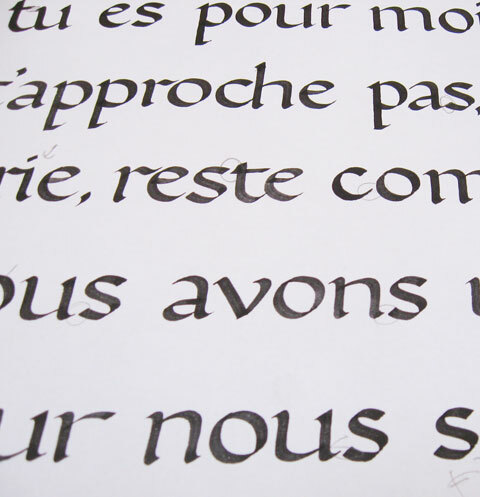 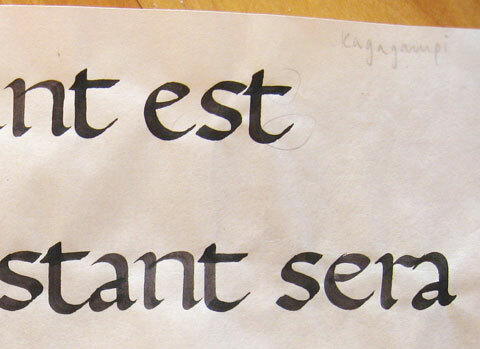 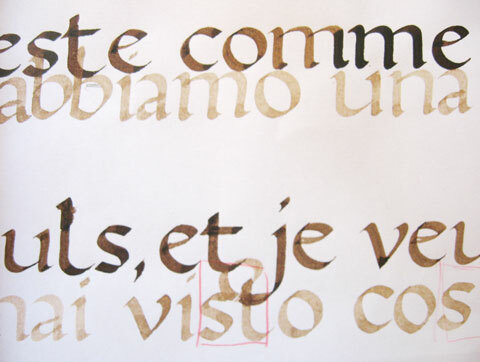 I used Italian and French text excerpts from Seta (Silk) by Alessandro Barrico. 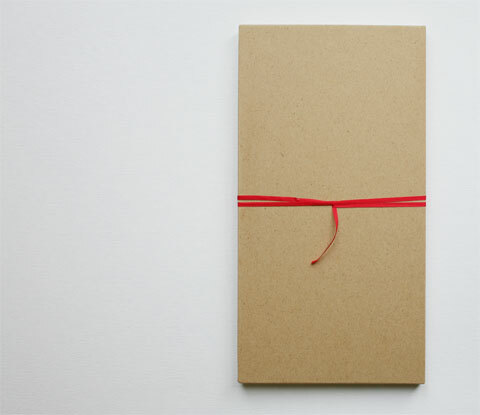 It is a 19th century novel about a French silkworm-merchant, who travels between France and Japan. 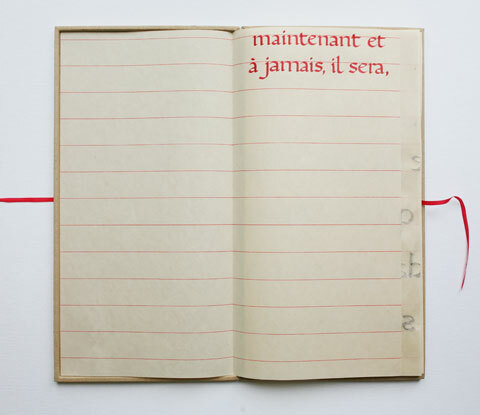 At some point later in his life he finds out that life had passed him without him noticing some of its beauties. 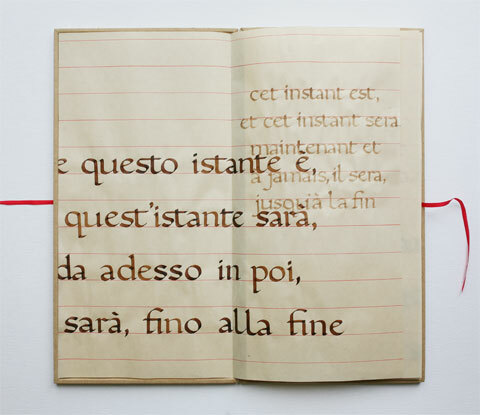 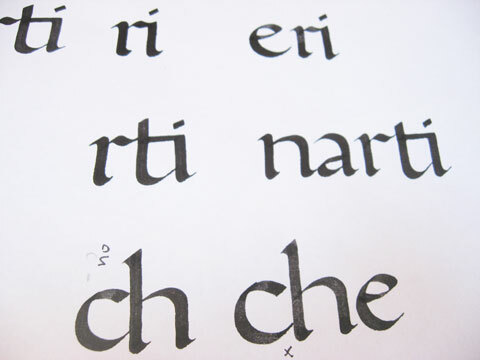 This is a self-initiated project following a 10 week "Foundational hand/roman minuscule" workshop with Marco Chioini.